Enticingly remote Lanyu (Orchid) Island is a must-visit destination for any resident or visiting birder on Taiwan. Number one on most people’s wanted lists is a bird that is increasingly considered to be a true endemic, the Lanyu Scops Owl. 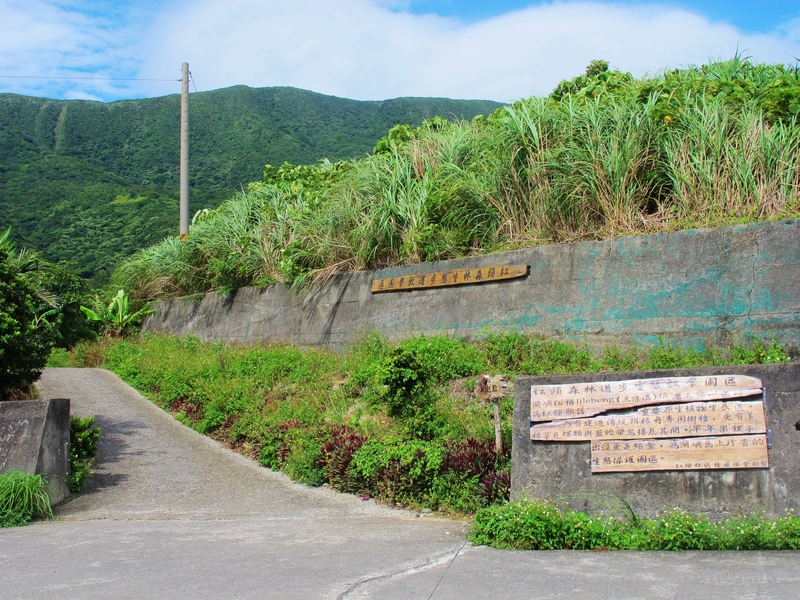 The island also holds two species found nowhere else in Taiwan (Philippine Cuckoo-Dove and Lowland White-eye), one breeding species which elsewhere in Taiwan is only a very rare migrant (Japanese Paradise-Flycatcher), one range-restricted bird which is rare on the mainland but which can be easily seen on Lanyu (Taiwan Green Pigeon), and one species that in Taiwan is only found on a trio of remote offshore islands (Brown-eared Bulbul). These birds are all relatively easily found. The white-eye and the bulbul are abundant everywhere, and the others should be located within a few hours by checking the key sites. 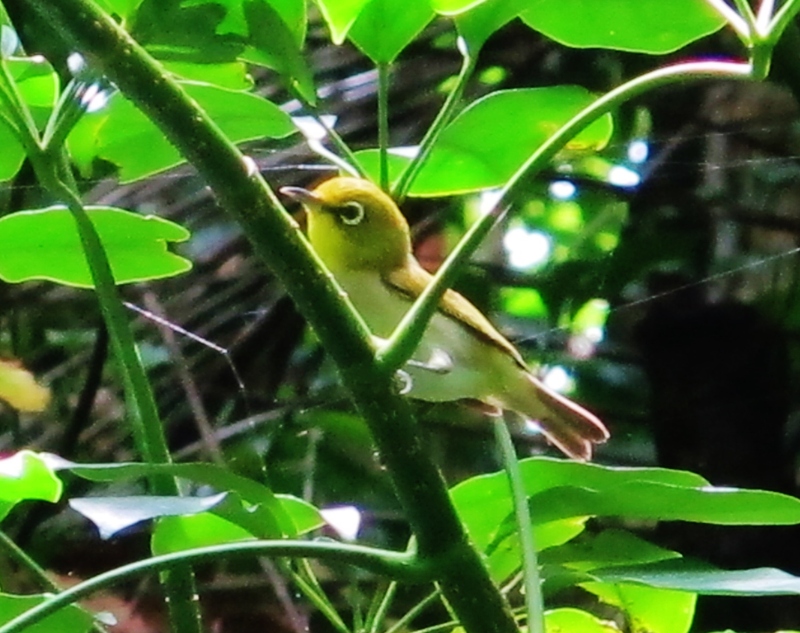 Lowland White-eye, Lanyu Island, June 8th. Getting to the island is part of the adventure. There are three ways to do it: by small plane from Taitung airport, or by ferry from Fugang Harbor near Taitung or Houbihu Fishing Harbor near Kenting. Flights are frequently cancelled due to bad weather, and boats delayed or cancelled because of rough seas. Tickets – especially for the plane – often sell out months in advance. The flight is said to be a nerve-racking experience on a windy day. Meanwhile, the ferry crossing over rough seas is known to turn even the strongest stomachs inside out, and the most robust sea legs to jelly. Brown-eared Bulbul, Lanyu Island, June 8th. Not speaking any Chinese makes booking transport to the island even more of a challenge. In addition, I was reluctant to commit to a Lanyu trip too far in advance in case of bad weather. I watched the forecasts like a hawk in the week leading up to the trip, and on Friday night decided it was worth a punt. After about 3 hours sleep (still jet-lagged from my England trip and way too excited about Lanyu), I got up at 3.30am on Saturday, loaded up my scooter and headed out in the dark for the 2-hour drive to Houbihu Fishing Harbor. This boat sails at 7.30am daily and, from what I could ascertain online, only between March and October. The ferry turned out to be full (that much Chinese I could understand from the guy at the port), but I resolutely refused to understand what he said and kept insisting on one return ticket to Lanyu. Finally, the boat man gave up and sold me a ticket, which was the easiest escape for him. If I’d been traveling as part of a couple or a group, I doubt I would have been that lucky. The money (2,000NT for a return journey) probably went straight into the boat man’s pocket, but I didn’t care, I was on the ferry and heading to Lanyu. 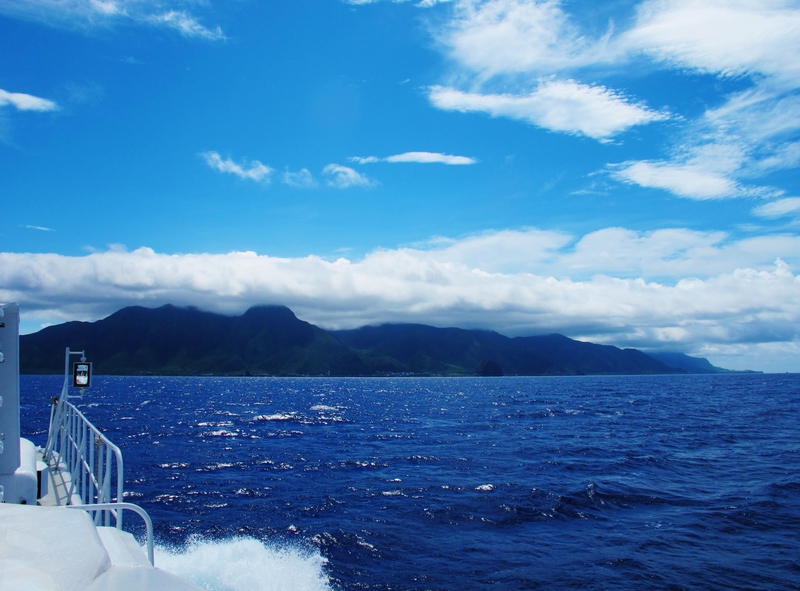 Approaching Lanyu in fine weather on calm seas. It was much rougher on the return crossing the following day. 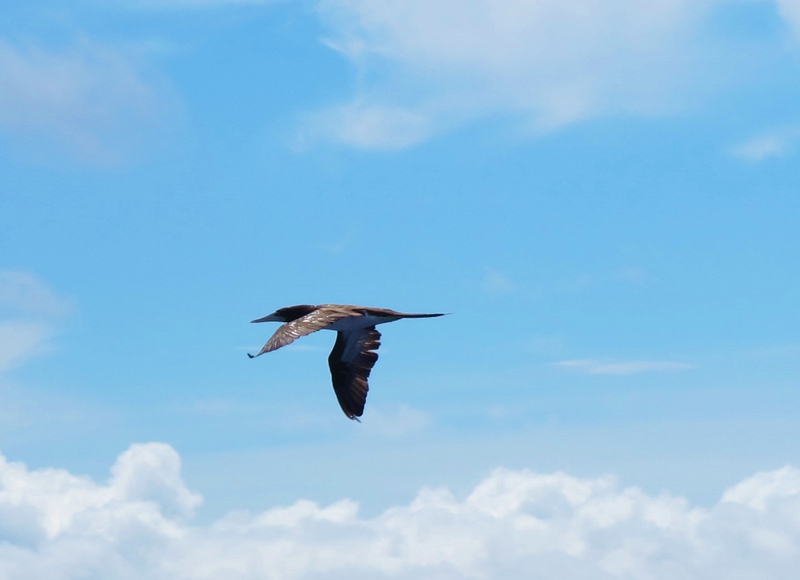 Brown Booby, at sea between Kenting and Lanyu Island, June 7th. I hadn’t booked anywhere to stay on Lanyu, and was prepared to sleep rough if I had to. There are very few hotels on the island; most accommodation is in family-run homestays which get booked in advance especially at weekends by Taiwanese visitors. From the port, I started walking up the road towards the nearest village, but hadn’t gone far before a car pulled up and the American-accented local inside asked me in perfect English if I needed a room. Thanks to this stroke of good fortune, I ended up with a room in a friendly homestay in Yeyin village on the eastern side of the island. I rented a scooter (400NT per 24 hours, Taiwan or international driving licence required) and by mid-morning I was ready to go birding. Japanese Paradise-Flycatcher – a relatively drab female-type bird. Sadly I didn’t get any photos of the splendid males, despite much trying. Like most birders, I intended to head straight to “Flycatcher Creek” which is known to host all of Lanyu’s special birds. Unfortunately I hadn’t done my homework thoroughly enough and only had a vague idea of its location (I thought it was somewhere on the west coast between the main port village and the airport). I figured it would be obvious when I arrived, but it wasn’t. I did find a rather open gravel riverbed in this area and scrambled inland along it for a few hundred meters, seeing my only Philippine Cuckoo-Dove of the trip, as well as legions of Brown-eared Bulbuls and Lowland White-eyes. Near the road, I flushed a warbler from an area of rank grass, which revealed a long, broad, slightly fanned tail with white tips before it dived into deep cover again. Later, I flushed it again and had similar brief flight views. From its size, shape, tail pattern and habits it was obviously a locustella, but which one? Rather uniform upperparts and lack of heavy streaking or a noticeably brighter rufous-brown rump ruled out Pallas’s Grasshopper Warbler. Of the other two likely candidates, Styan’s and Middendorff’s, it would seem that the latter is probably a common migrant through Lanyu (sightings of this bird on the island pop up in other trip reports), albeit under-recorded. It’s also a late bird, with peak migration along the mainland Chinese coast continuing well into June. So I concluded that my bird was almost certainly a Middendorff’s Grasshopper Warbler, not a lifer (I’ve seen one in Korea) but a good find nonetheless. Entrance to Flycatcher Creek on Lanyu, near the south west corner of the island. Fifty meters along this concrete road, just before a bridge, a steep and stone-surfaced path descends to a riverbed. As soon as I arrived, I figured that this was surely Flycatcher Creek, and as if to confirm this thought I had the briefest of glimpses of a Lanyu Scops Owl flying through the treetops just as I stepped off my scooter. I birded the first 500 meters of this trail (marker posts are handily placed every 100 meters), and saw about 12 Japanese Paradise-Flycatchers at various spots, including two splendid long-tailed males. I was expecting this bird to look good, but wow …. even the finest photos and field-guide plates don’t do any justice to the real thing. It really is a stunner. I also found a nest, and another pair feeding fledged young. 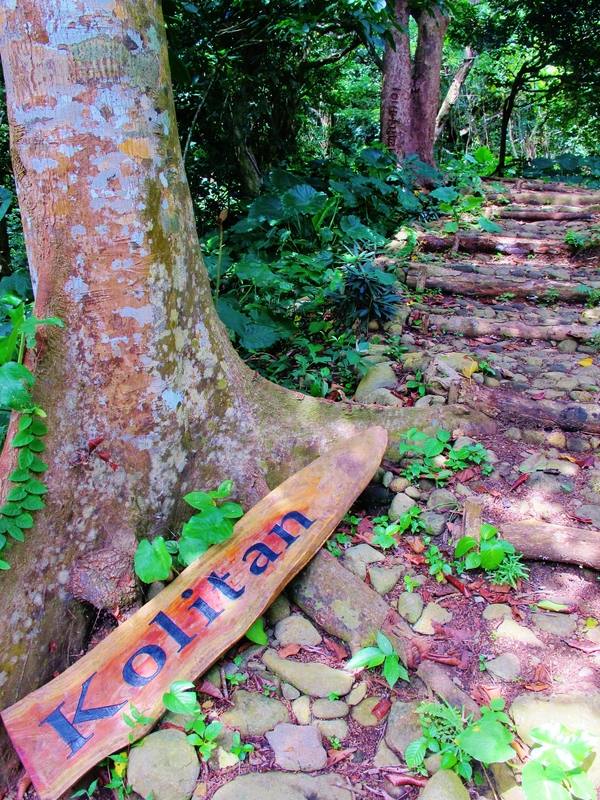 Just past this sign, on the Flycatcher Creek trail, a Taiwan Green Pigeon was nest-building directly above the path. I also found a Taiwan Green Pigeon in the process of nest-building right above the trail, but never got a clear enough view to take a photo. Also along here, I saw about 6 Emerald Doves, mainly in flight along the riverbed but also feeding on the ground. Having secured all the special birds of the island, and in the case of the owl intending to return after dark for better views, I continued around the island and finally completed a full circuit on my scooter. 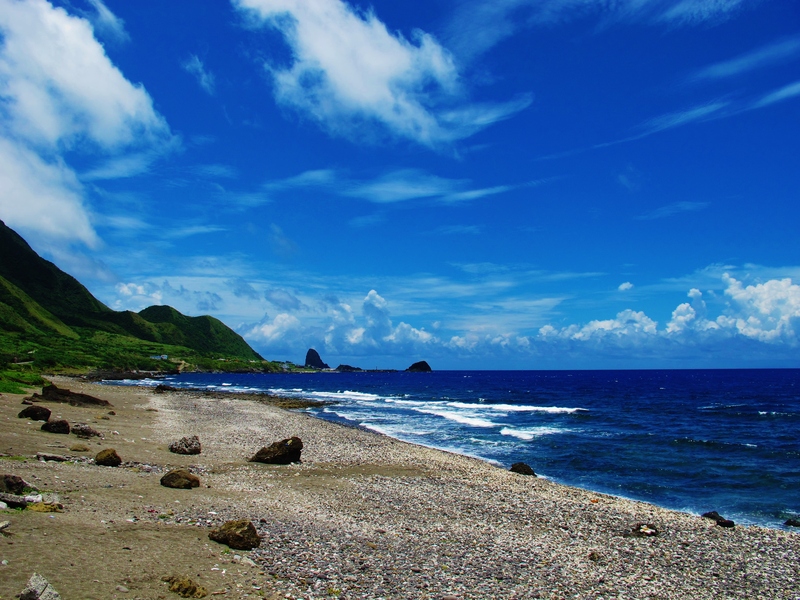 Lanyu is famous for its rock formations, some of which are truly remarkable, and the scenery in general is stunning. 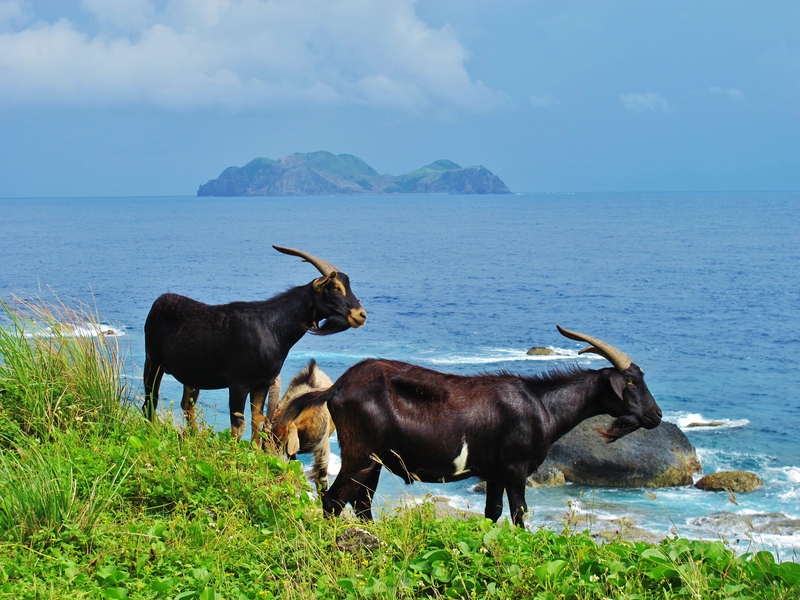 The island has much in common with the Philippines, and certainly felt far removed – not only geographically – from mainland Taiwan, while the grazing livestock (mainly goats) and dry stone walls almost made it feel like a tropical Scotland at times. 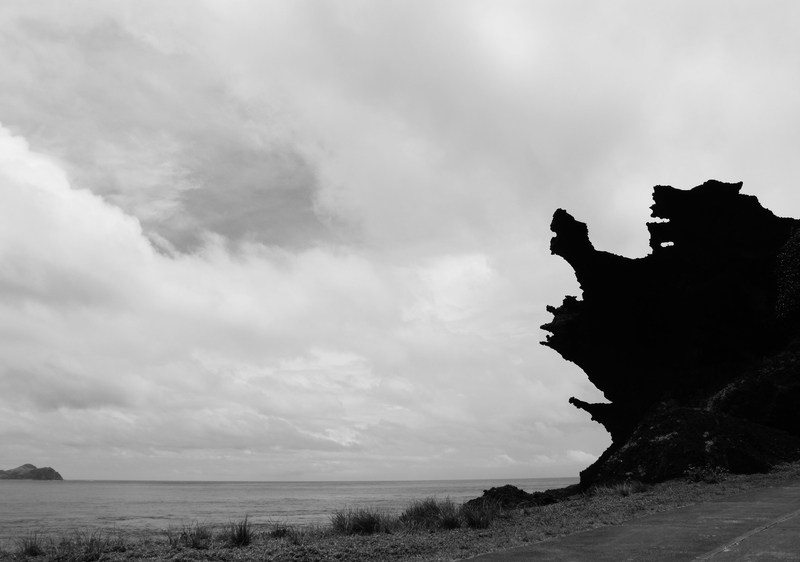 One of Lanyu Island’s remarkable rock formations. Not wanting to take any chances with the Lanyu Scops Owl that night, I signed up for a guided owl tour that departed my homestay at 7.30pm. From Yeyin village, we drove south for a couple of kilometers as far as a kind of white monument and concrete road on the right. 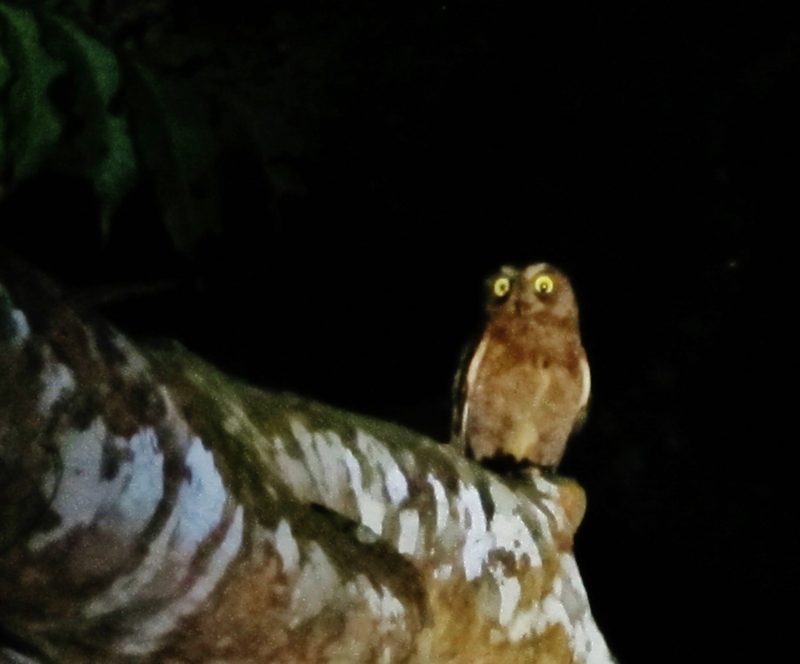 Upon entering the forest, we immediately heard Lanyu Scops Owls calling, and over the course of a couple of hours managed to see about 7 of them including a pair around a nest hole. There were at least 40 other visitors looking for the owls – and other endemic night wildlife – in the forest here, in various small guided groups. It was good to see local guides benefiting directly from the owl, and should help to ensure its continued protection here – I happily paid my 250NT for the experience and would do so again. Lanyu Scops Owl, Lanyu Island, June 7th. The next day, with all the key birds seen and the pressure off, I took another walk in Flycatcher Creek – seeing most of the same birds – and toured the island again, concentrating on some of the farmland areas in an attempt to find Eastern Water Rail, but it wasn’t to be. Near the ferry harbor, a small group of about three or four terns just outside the harbor walls contained at least one white-crowned Black-naped Tern, and I thought there may have been a Roseate Tern among them but the birds were distant and a heavy rain shower was passing at the time, so confirmation was impossible. The return ferry crossing was rather rough with big waves and plenty of spray, and I stayed out on deck throughout. There were more birds over the sea than on the outward journey but viewing conditions were very challenging; however, one Streaked Shearwater passed very close to the boat. There were also some all-dark shearwaters, about eight of them in total during the voyage – they might have been Wedge-tailed Shearwaters or even Bulwer’s Petrels, but with no more than distant split-second glimpses through soaking wet optics I had to give them up as unidentified. Overall it was a perfect visit to a lovely island. Visiting birders would probably be best advised to travel midweek when there is less pressure on availability of transport and accommodation. Lifers: Lanyu Scops Owl, Japanese Paradise-Flycatcher, Taiwan Green Pigeon, Philippine Cuckoo-Dove, Lowland White-eye, Wedge-tailed Shearwater (total 1,783). Taiwan ticks: Brown Booby, Middendorff’s Grasshopper Warbler (total 237). Year ticks: Brown-eared Bulbul, Streaked Shearwater, Black-naped Tern (total 214). 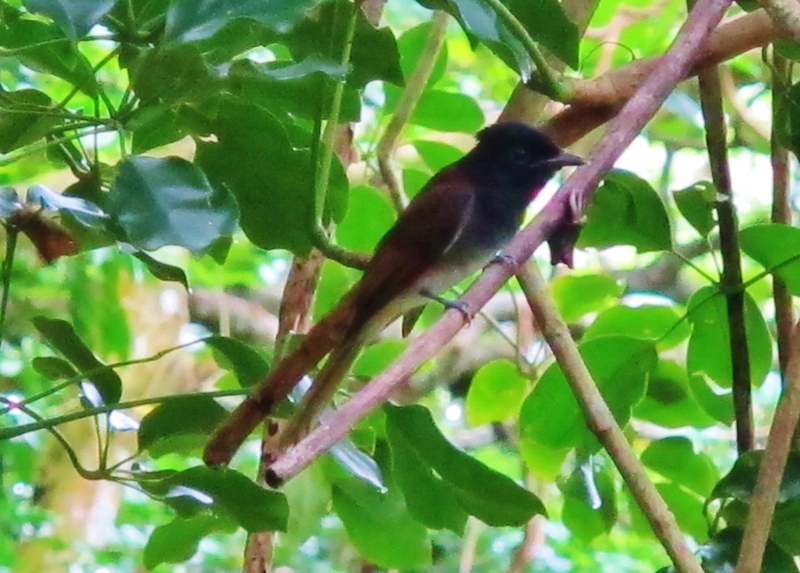 I’ve also seen the brown-eared bulbuls on the low mountains in Pingtung south of the Pingtung – Taitung highway, so they do sometimes turn up on the mainland. Other than that sounds like a great trip and you took some nice photos to boot. Thanks Bob. 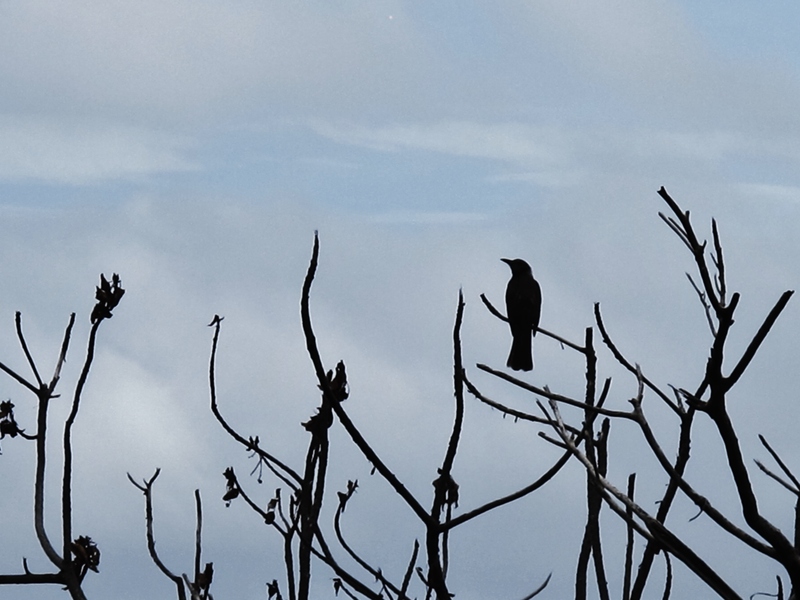 I read somewhere that the bulbuls turned up occasionally on the mainland, I wonder if there’s a small resident population in the area you mentioned. Cheers.